Hello, Samantha Cotterill! Greetings from 32,000 feet over a place between Ohio and North Carolina. I just read Nope. Never. Not for Me! and This Beach Is Loud! three times during this flight from Columbus to Charlotte. I cannot wait to share both books during my BEST BOOKS of 2019 presentation. What inspired you to create the Little Senses series? Samantha Cotterill: Well first off, wow! You have left me speechless with your stated plans to add these pieces to your presentation...which is not good since I need to now have the words to answer the following questions 😉. 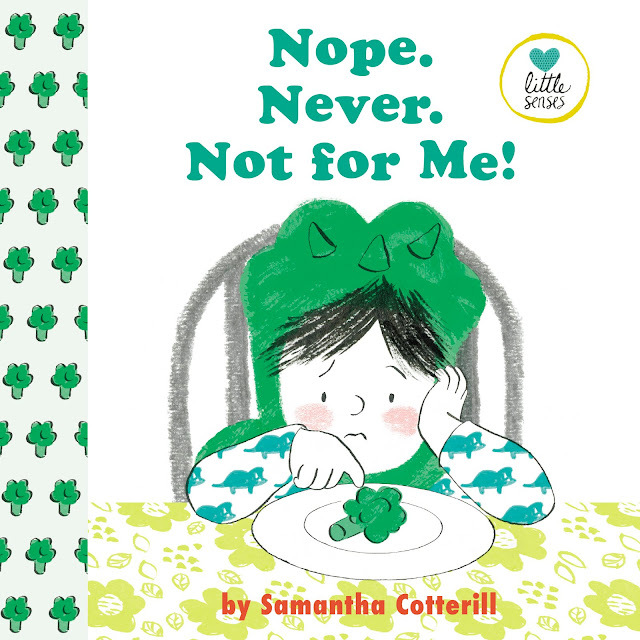 Scenario: You’re at the New York School Library Conference in Upstate New York when an elementary school teacher-librarian spots you holding copies of Nope. Never. Not for Me! and This Beach Is Loud! Teacher-Librarian: I love those covers. Do you have a moment to tell me what both books are about? Samantha: Of course! And being that I live in Upstate NY, I’m in no rush to get home and thus happy to talk for many a moment more if need be. How do you respond? I’m so honored to have you reach out and ask about these books. These are the first two of a four book series about to come out, with the hope of more to come after that. It’s my goal to have this series accessible to any child in school that may feel misunderstood and need to connect with a character that experiences and understands the struggles that can be common with many a child on the spectrum or with sensitivities/anxieties in general. The light-hearted and gentle approach these books have in regards to handling overwhelming moments make it accessible for all the kids in the classroom, and thus a great tool for teachers to raise awareness and understanding with others... ultimately creating an atmosphere of compassion and support. Beyond the classroom, bringing the books home can be a good catalyst to start conversation between parent and child as well as help siblings and other family members gain a better appreciation for how these kids view the world. Story is unique to everyone, and in this case mirrors the idea that “If you meet one child with autism, then you’ve met one child with autism”. Each one of us may share many a similarity, but we all have a different story to tell. And it’s those collections of stories that help us gain a feeling of connection and support knowing we are not alone. Mr. Schu, you should have asked me if I live in Upstate New York. I do. So perhaps there’s a chance to experience that above mentioned scenario for real? 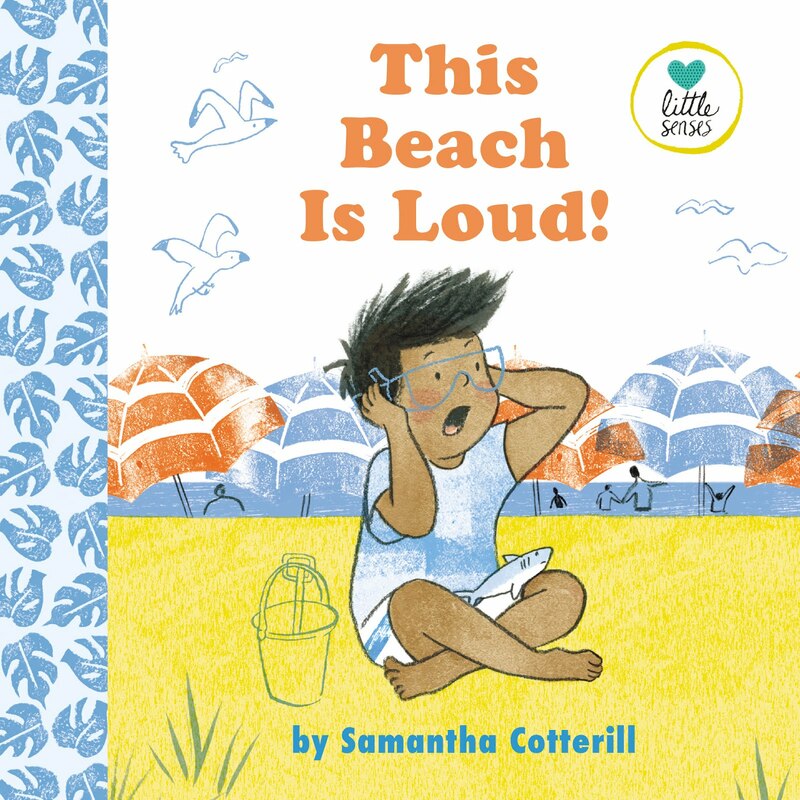 Look for The Beach Is Loud! and Nope! Never! Not for Me! on June 18, 2019.